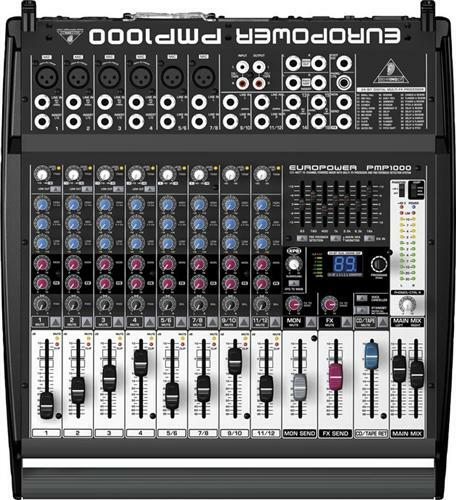 The EUROPOWER PMP1000 powered audio mixer delivers 500 Watts of massive power and incredible performance through new-generation amplifier technology, crystal-clear sound, plus an ultra-compact and lightweight design. Other key features are the 24-bit stereo FX processor, IMP (Invisible Mic Preamp) mic preamps, Voice Canceller that's handy for karaoke applications. Get massive power and great sound in a lightweight power mixer package! 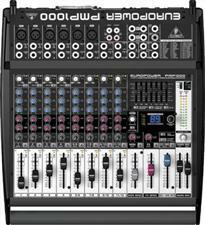 Please note that this mixer requires speaker cables with Speakon connectors.